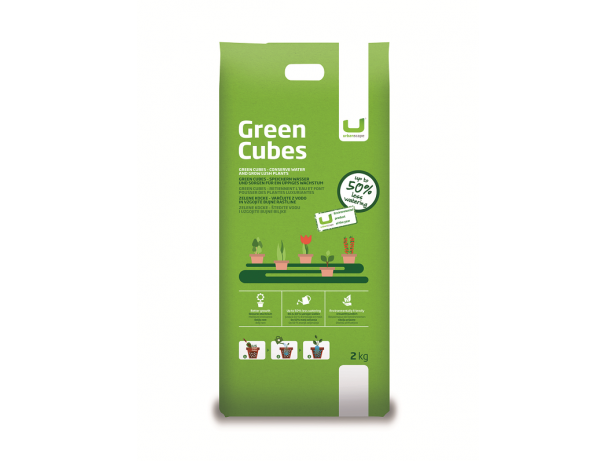 Green Cubes are made of natural mineral fibres with no additives or binders. Mix Green Cubes and the substrate in a 1:5 ratio (mix 1/5 part cubes with 4/5 parts soil). Put the mixture in the pot. Plant the plant in the prepared mixture and water thoroughly. The Cubes should be covered by the soil. Green Cubes additionally retain water and the plant draws it as required. For an optimal effect, add Green Cubes to the substrate in a 1:5 ratio (mix 1/5 part cubes with 4/5 parts soil).